The song, produced by Linus, follows singer-songwriter and musician, Shawn Mendes’ acoustic interpretation of the iconic 1981 No. 1 hit, “Under Pressure” and was recorded as the second installment in a series of three artist covers in support of the Mercury Phoenix Trust (MPT). The MPT was founded in 1992 by Brian May, Roger Taylor and Jim Beach to support the global fight against HIV/AIDS. 5SOS, together with Universal Music Group (UMG) and Queen, will donate net profits of the track to the MPT. 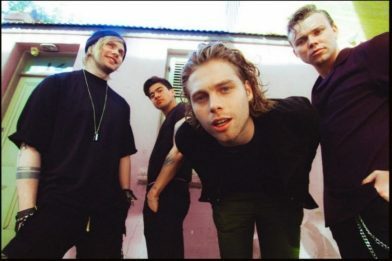 “Everyone at the Mercury Phoenix Trust is thrilled that 5 Seconds of Summer have joined our global campaign fighting AIDS in celebration of the movie Bohemian Rhapsody. Thank you 5SOS for giving us such an impeccable version of Freddie’s classic Killer Queen,” said Queen’s manager, Jim Beach. Pop Scoop founder and editor. Ex showbiz/tech editor at the Cyprus Mail. Former sub-editor at Archant. Former art director Sky TV. Co-founder of Kool Magazine and freelanced for the BBC, Channel 4, Warner Bros and the Cyprus Broadcasting Corporation.